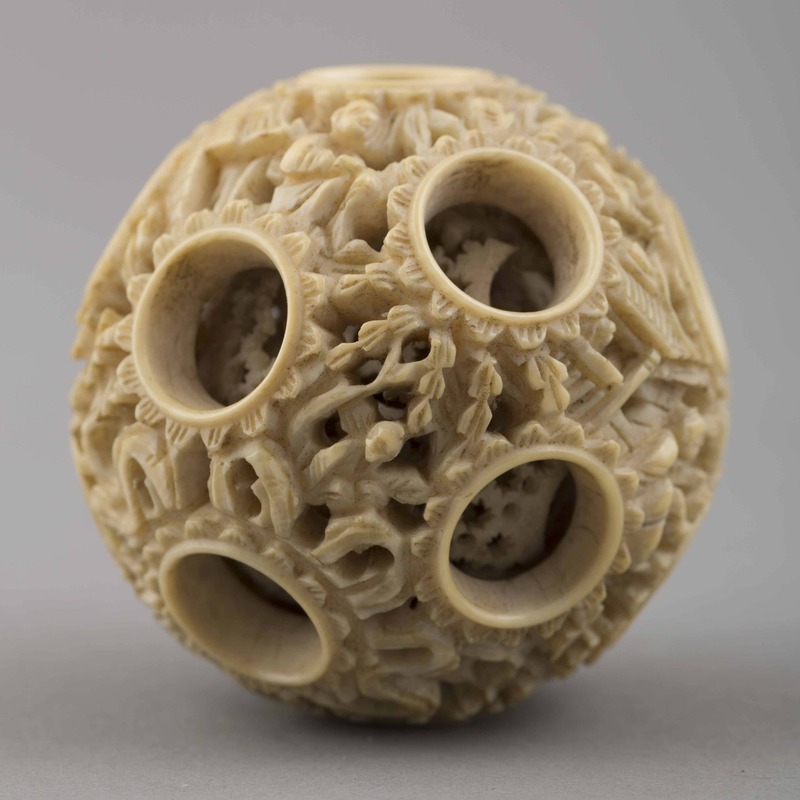 One yellow-white ivory puzzle ball comprising openwork carved and pierced concentric spheres. The outermost shell presents an intricate pattern of figures and botanical forms interleaved with ring-shaped openings. 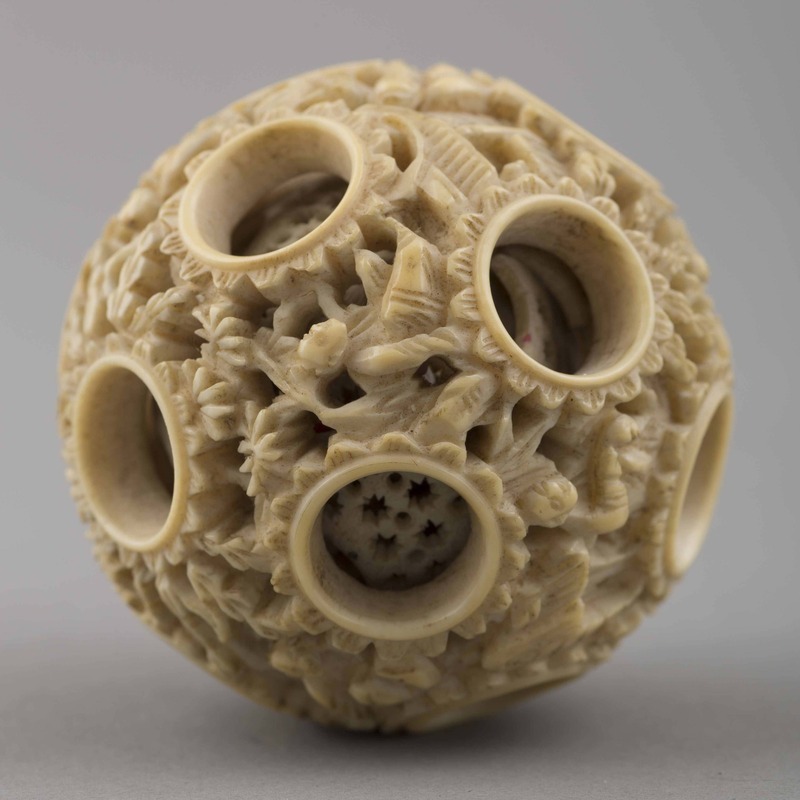 The next shell inwards exhibits a cut-out pattern of eight-pointed stars and circles interleaved with larger rings. Purchased by Keith Duffield from Rewi Alley, and gifted to Canterbury Museum by his wife following his death. “Ivory: sculpture,” China, Art and Cultural Diplomacy, accessed April 22, 2019, http://rewialleyart.nz/items/show/1090.